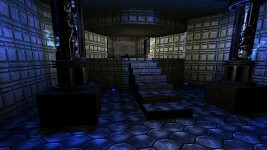 Making Doom 3 prettier and a little more aimed towards realism. AI has been tweaked, more avoiding in the apparent “intelligent” monsters, HUD modified. You can view an older gameplay video below to get an idea. Download the mod over at Gamebanana! 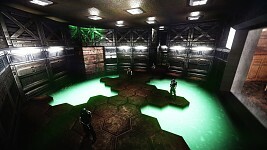 Phrozo Mod 2 is a graphical enhancement mod, and more specifically, a particle enhancement mod that is the successor to Phrozo's GFX mod and has vastly improved new particle effects for Doom 3. All of the weapons, monsters, projectiles, and many more things have entirely new particle effects that are much more detailed and polished than in previous work seen in Phrozo Mod. There are new features and systems like surface type based particle effects ( shooting sand produces a sandy particle effect, shooting metal produces sparks etc. ) inspired by Denton mod, weapon flash lights for all the firing weapons inspired by various other Doom 3 mods, and a moveable FX system inspired by Half-Life 2. 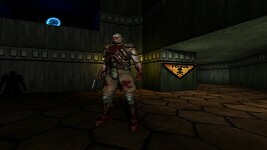 Phrozo Mod 2 also includes gameplay changes to make Doom 3 less sluggish and much more fast paced. This mod includes all new assets such as new particle, decal, and skin textures, sound and GUI assets, script, and code. You can download version 2 at moddb.com. September 27th, put that day on your calendar so you can download Mars City Security! In development for at least a couple years, it features coop, “Demonwars”, which puts players in a “last stand” scenario against demons, Deathmatch & Team Deathmatch. You can check out the “beta test” thread over at idtechforums.com. Pre-Beta Version 1.3 is finely released, all though we couldn't get saves sorted for this release like me and Brent hoped, Or add the missing "X" from the Doom font we are using, There is still alot of changes i've been able to get done for this release. And many more, which I can't exactly remember at the moment I'll also add all known issues later when I have more time on my next day off, Also i'll be tiding up the tutorial on both the forum and moddb. that way you'll be able to see what to expect in the following releases, This is also are new bug tracker so if you find any problems you can submit an issues that needs resolved. You can download Pre-Beta v1.3 over at modd.com. 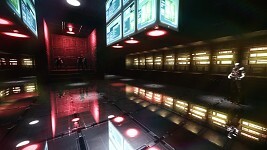 Doom Reborn is a remake of Doom and Doom 2 in to Doom 3. 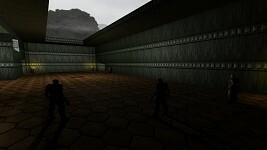 You can read more about the project over at the Doom Reborn website or moddb.com. Seems like yesterday we had the July update! 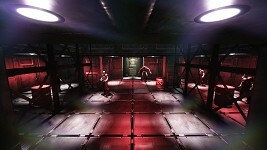 This update shows off a remake of Doom's Hanger level, the first level of the map. Watch the video below to see modern shooting in old school locations!